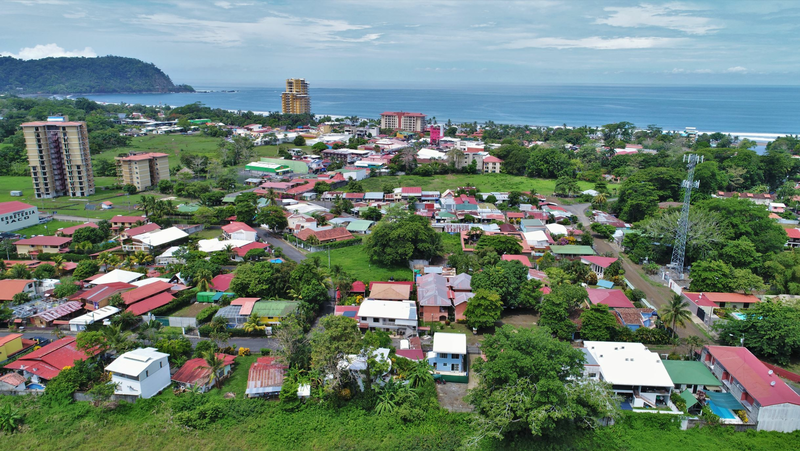 Real Estate at Hannia Condominiums in Jaco Beach, Costa Rica! Condominiums Hannia is a gated community located in the center of Jaco, Costa Rica, right behind the city park. The condominiums have several one level or two level units. The complex offers security, parking and has a swimming pool with lounge chairs. The community is located 150 meters from the beach. Jaco Beach is well known for its waves and surfing is a popular activity. Condominiums Hannia is right in the middle of Jaco, which is a vibrant town, and you are surrounded by restaurants, bars, shops and a movie theatre.